This is a pair of larger terra cotta corbels taken from a New York City building built in the late 1800s. 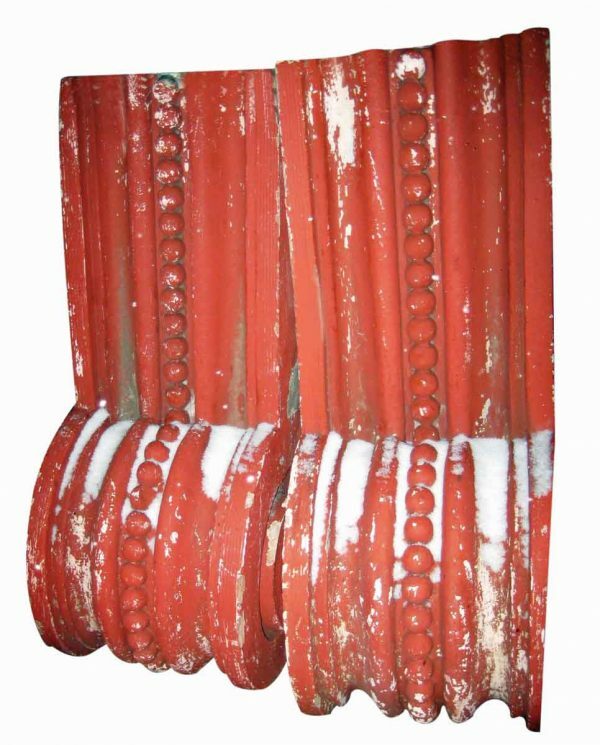 They are actually natural colored terra cotta, with red paint which can be removed if you prefer a neutral color. Sold as a pair.